Receiving presents is a popular part of Christmas and, as a child, this was the best part of the day. Now that you are older, giving gifts is just as much fun as receiving them! This year, show your dad how excited you are for the holidays with this Christmas card. 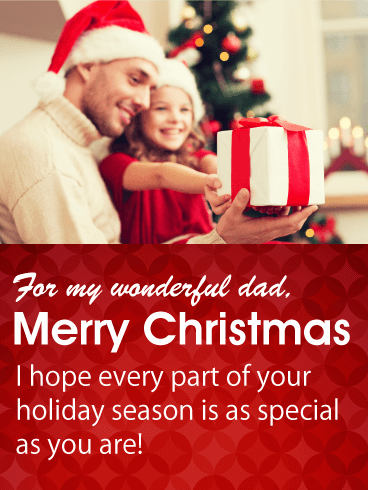 The silly design and heartfelt message will show your dad that you can't wait to celebrate the holiday season with him! When you think back on your childhood Christmases, who was the one who carefully picked out your presents, wrapped them, and placed them under the tree? Your mom! 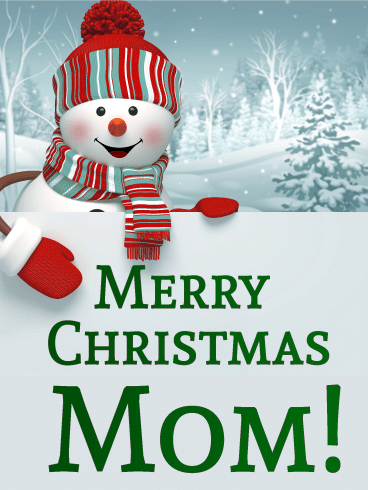 As the holidays approach this year, use this Christmas card to send your holiday wishes to your mom! 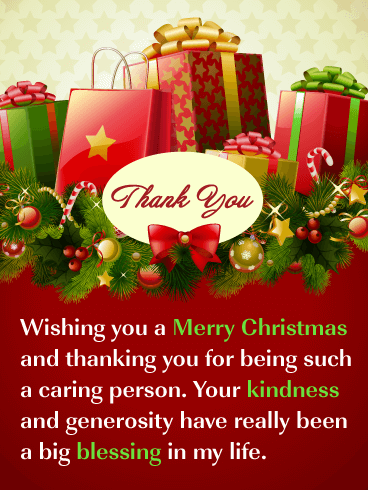 She has always made your Christmases special, so send this card to make the holidays special for her too! 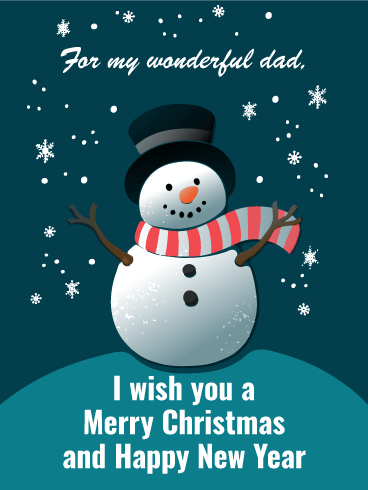 Bring good tidings to your dad during this festive season with the adorable snowman on this Christmas card! The best memories are made with those you love and some of your favorite memories involve playing in the snow with your dad. Make this the best Christmas ever by using this Christmas card to remind your dad of these memories and the great times you've had together! When you were a kid, did you help your dad hang Christmas lights on your home and tree? Bring back these festive memories by sending this Christmas card to your dad this holiday season! 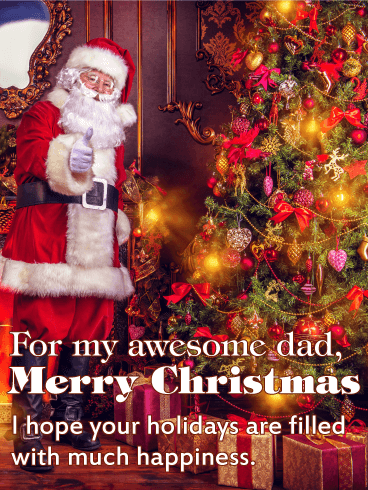 The bright colors, merry design, and sweet holiday message will show your dad that you love him and are thinking of him during this holiday season! As you grow older, pursuing your dreams and becoming an adult can often put a physical distance between you and your family. No matter how far you are, however, the holidays have a way of bringing you back together. As the holiday season approaches, send this Christmas card to tell your mom how much you have missed her and how excited you are to spend the holidays together! For many children, dads are the ones who add special "Santa magic" to Christmas. They dress up in Santa's jolly red suit, eat the cookies set out the night before, and lay those brightly colored packages under the tree. Your dad has always made the holidays special for you, so use this cheery Christmas card to make this season special for him, too! There is a special bond that forms between every father and daughter. No matter how old you are or how far away you live, you will always have a safe and special relationship with your dad. 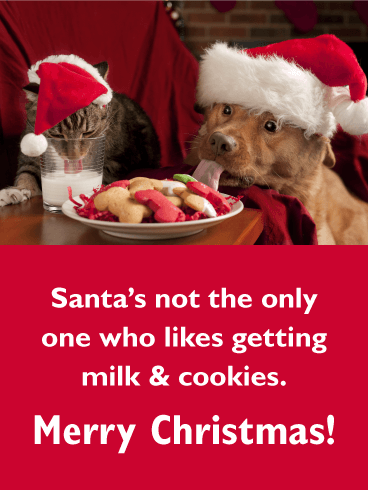 This Christmas, celebrate your bond with this beautiful Christmas card! 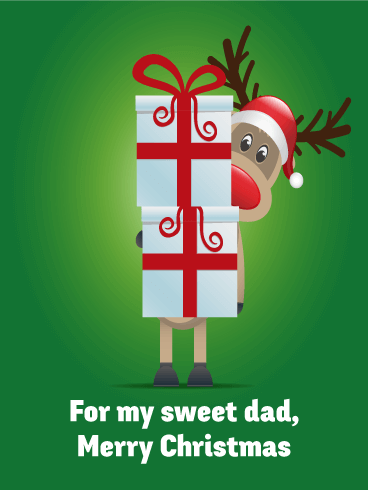 Your dad will be happy to receive it and will know that you are thinking of him during this season. Does your dad hate the cold weather? Is snow, ice, and low temperatures the worst part of the holiday season for him? If so, you've found the perfect Christmas card for father! 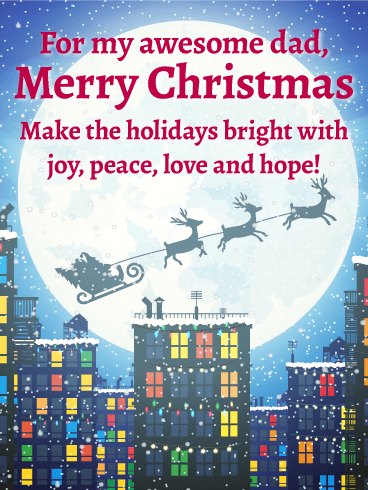 The bright blue sky, sunny location, and happy people on this card will bring a smile to his face as you share your Christmas wishes with your favorite guy! Everyone knows that best kind of jokes are dad jokes. Dads have a special sense of humor that can help you find laughter in every situation! 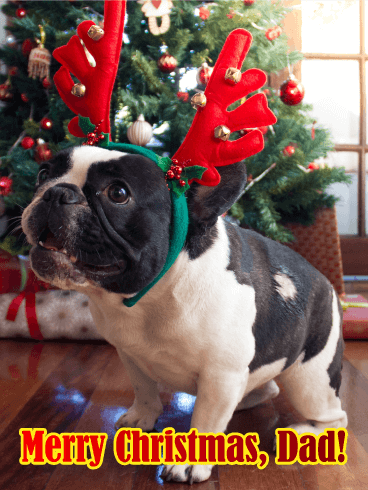 To add humor to your dad's holidays this year, send the antler-wearing dog on this funny Christmas card! The cute picture and festive design will make this the best Christmas he has ever had! As many beloved Christmas carols say, the holidays are a time for peace, joy, and happiness. 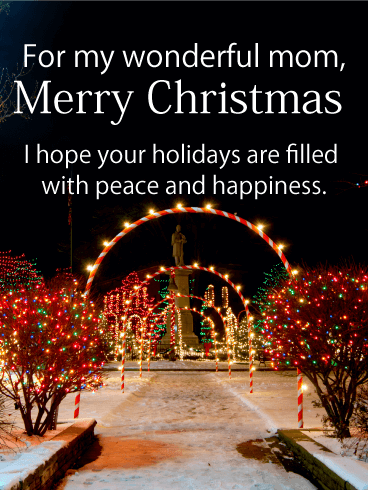 As the holiday season approaches, send this Christmas card to wish your mom a Christmas season filled with joy and harmony. The holidays are meant to be filled with love and happiness, so make this the best Christmas ever by sending your affection and Christmas wishes with this beautiful Christmas card! We can't choose our parents, but they choose to put their time, energy, money, and love into giving us the best lives possible. Your dad has always worked to encourage you and provide for you, so let him know how much he means to you this holiday season. 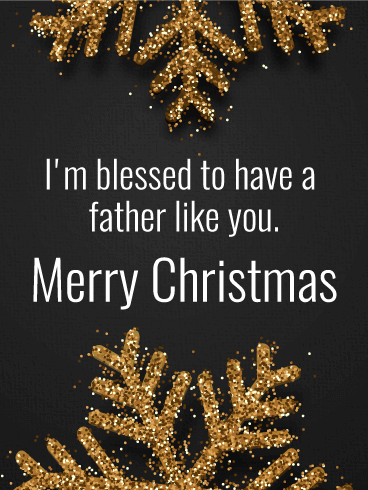 Use this classy Christmas card to send your holiday wishes and love to your dad today!